Transmit high definition video across hundreds of metres of low-cost coaxial or twisted-pair cable using SingMai's proprietary aCVi interface. Applications include digital signage, pipeline inspection, subsea inspection, transport cameras and security. 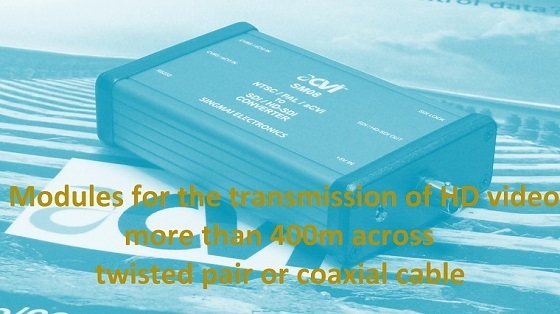 aCVi also supports power-over-coax and bidirectional data. 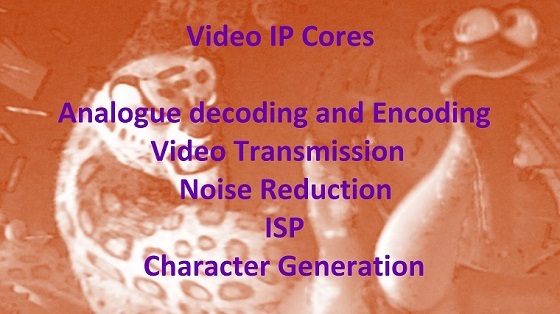 Affordable, field-proven, intellectual cores for video and imaging applications. All our IP cores are supplied as RTL compliant Verilog source code for a single one-off payment (effectively an unlimited time/use license). No further payments are necessary. The IP cores are provided with 6-month's e-mail design in support and the IP cores can be customised to provide you with the best possible solution. 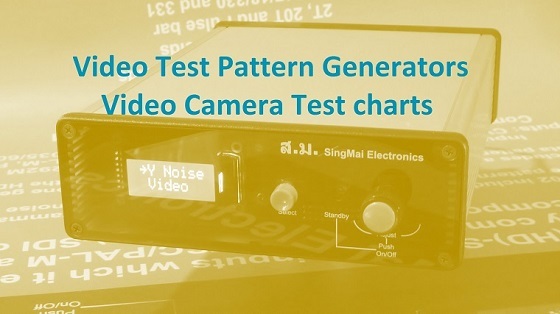 Take the subjectivity out of the assesment of your video products or installations with the SM02 video test pattern generator. The SM02 supports YPbPr, 3G/HD-SDI and analogue HD outputs, supporting all NTSC/PAL formats through to 1080p/60Hz HD. Inject noise and/or hum onto the output to test the resilience of your installation to real world circumstances. 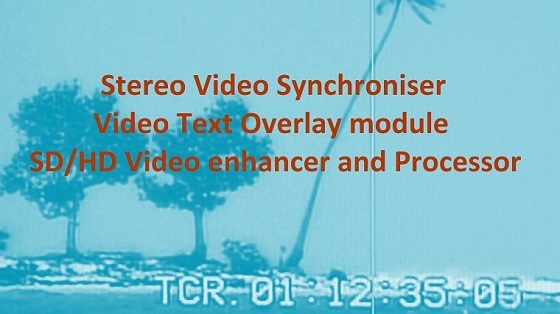 SM11 overlays text on digital video, for both SD and HD video.